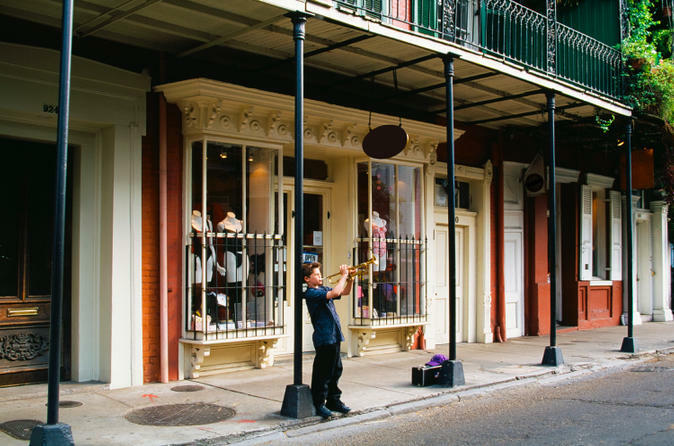 Meet your guide in the heart of the French Quarter to embark on your three-hour walking tour of world-class restaurants and foodie venues. Wander the lively streets of the French Quarter and get an insider's look at the kitchens often seen on food shows and featured in cookbooks. Let your guide know the restaurants you're interested in checking out or perhaps ask your guide to recommend a personal favorite. Indulge in food tastings during your tour. You may have a classic gumbo as a seafood treasure, boudin beignets and other authentic nibbles. Popular New Orleans' cocktails are available for purchase like the distinctive Pimms Cup with a ' twist. Pimms originated in England, but the Pimms Cup cocktail was dreamed up in New Orleans. Your tastings are all included in the price of your tour and many feel these tastings add up to a meal's worth of food. There's a moderate amount of walking involved as you move from one exceptional restaurant to the next, so it's easy to work off the calories! Special Offer - Book with us and save 23% compared to another travel site! - Book Now!